Hello, could you please forward me the .pdf version for the 2019 calendar please and thank you. 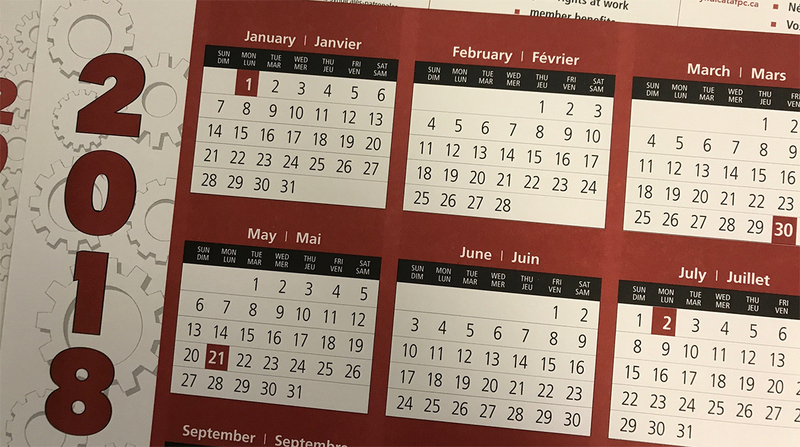 Is there anyway to receive an electronic version of the PSAC 2018 calendar? Great question Michelle. PSAC will be producing a PDF version, and we will update the post with the link as soon as it is available. Thank you. Post has now been updated to include a downloadable PDF version of the calendar. Thank you Michelle.